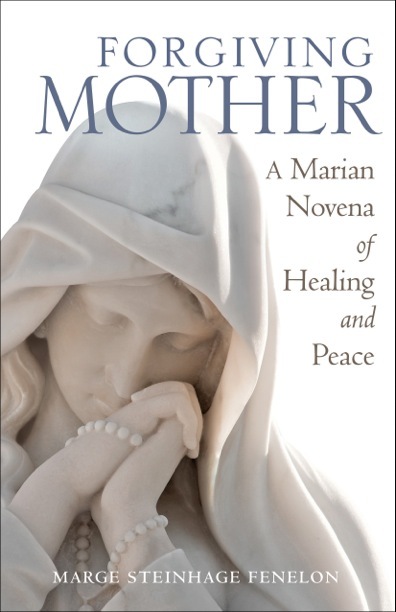 Today begins our novena to the Blessed Virgin Mary in anticipation of the release of my next book, Forgiving Mother: A Marian Novena of Healing and Peace. We offer this novena for those who have been wounded as the result of being raised without genuine maternal love. On this first day, we consider those whose wounds are so deep that they’re afraid to face them. Their fears lie so deep that they hold back from healing and instead continue their lives as wounded, fearful beings. As we read in Forgiving Mother, Mary is the key to our healing. Through her, we gather courage to seek and sustain healing. In her, we find the tgenuine motherly love that we so need and desire. Books, Catholic Church, Prayer, spirituality. Bookmark. For my Mom who lives, and my Dad who lives in heaven, and all the surrogate dads who filled the gap, including St. Joseph.